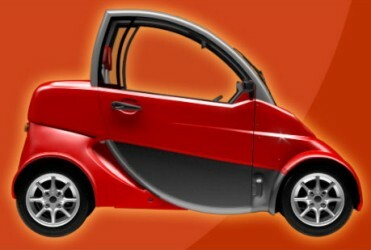 Kurrent is a neighborhood vehicle (NV), which means it has four wheels and weighs less than 2500 lbs. It runs on the same standard electricity you use to operate your household appliances. Think of it as juice to go. Kurrent is not just a new car – it’s a whole new way to get where you’re going. Based upon European micro car technology, Kurrent is actually the evolution of the motorcycle and not simply a refurbished golf cart. Micro cars have been driving the streets of Europe for more than ten years. Range: Kurrent, when fully charged, will travel 35-40 miles at a constant speed of 25 miles per hour. Cost per Mile: Kurrent costs less than 2¢ per mile to operate.